Let’s talk about my dad. I probably had a different experience as a child then many other children did. My dad worked the night shift so that he could be home with my brother and I during the day while my mom was working. This meant that dad cooked us breakfast and lunch while mom cooked us dinner. It was great getting to see both of my parents cook and interacting with them in the kitchen. This week we are sharing our dad’s favorite recipes for Sunday Supper. I know I’ve shared pierogies and paska in the past for Father’s Day because those are two of the dishes from our heritage that my dad always makes. This year I decided to make a recipe that he really loves but I have actually never made before. It’s Coconut Cream Pie. 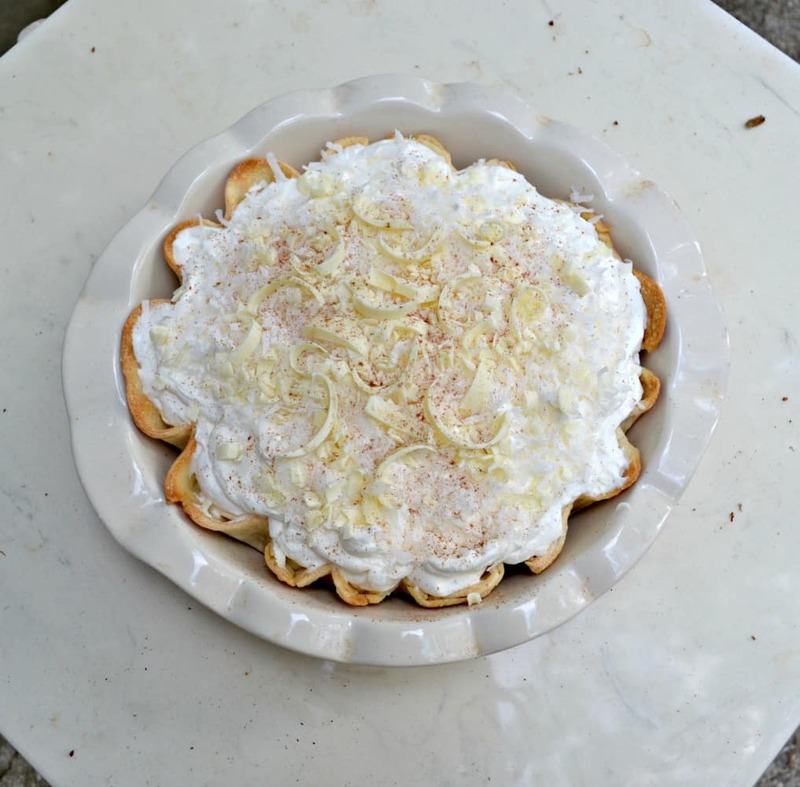 I’ve never made a coconut cream pie because not many people in my family like it. My husband doesn’t eat coconut so it would be wasted at our house. 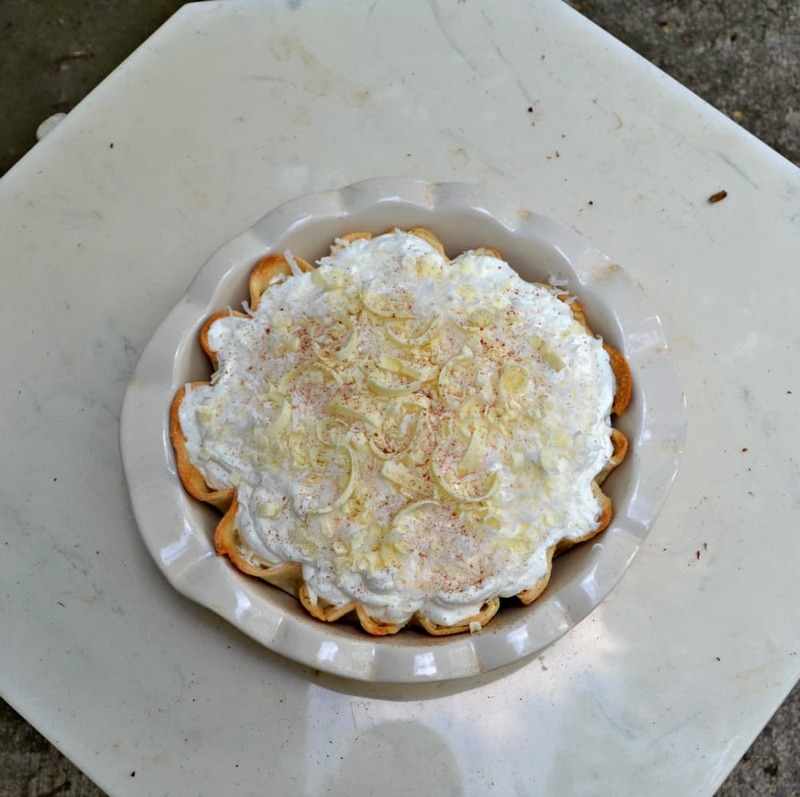 So when I had a luncheon at school last week I thought it would be a great time to try the Coconut Cream Pie on my friends and if it was good I could then make it for my dad for Father’s Day. Let’s talk about this recipe. 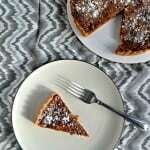 It involves making a pie crust, making a coconut pastry cream, and whipping cream. Then the decorations on top really make the whole pie. I’m going to admit I didn’t make the crust. I bought a refrigerated pie crust and baked it myself. Then I went for the pastry cream. Now pastry cream can be finicky. You have to get it hot, but not too hot. Then it has to just start to bubble but you don’t want it to boil. You have to whisk it so the eggs don’t curdle and you have to make sure it is thick enough. So I went through everything, had no curdling, thought my mixture was thick enough and put it in the refrigerator to set. Well, it didn’t. It was thick but not thick enough to withstand being sliced into a pie. So I read a bunch of different websites on how to fix it and in the end I whisked a little gelatin with hot water then beat it into the pastry cream with a mixer. It worked like a dream! Putting the pie together was easy. I had so much fun with the coconut and chocolate shavings on top. I was really proud of how it looked and hoped it tasted ok too. When I took a bite I know I could feel myself smiling. It was rich, creamy, and full of coconut. In fact I had one teacher tell me it was totally worth a cheat and another teacher tell me she never eats dessert but it was delicious. I’d say that’s a win! Now I can’t wait to make it for my dad so he can enjoy it too. I’m not sure if he’ll get it for Father’s Day but if not his birthday is in July. 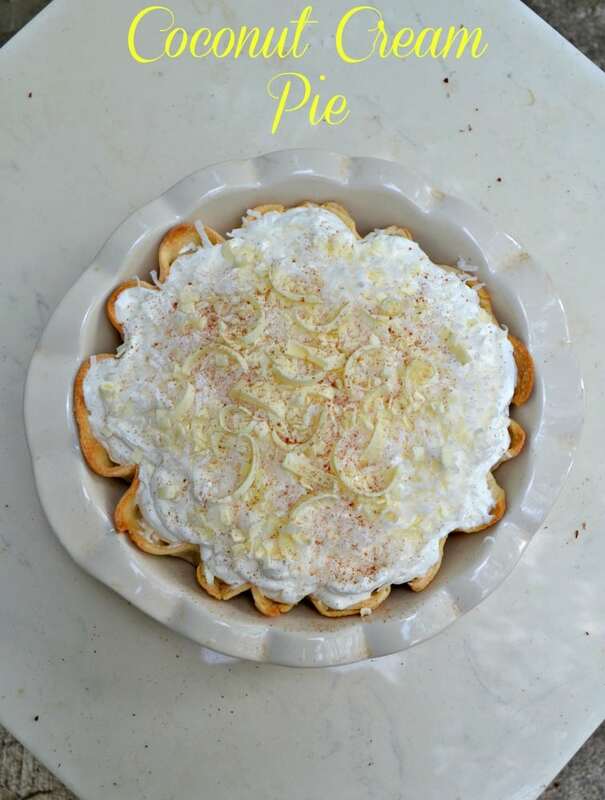 This delicious pie has a layer of silky smooth coconut pastry cream topped off with fresh whipped cream and white chocolate curls. Preheat the oven to 425 degrees. Place the pie crust in a pie pan. Place a piece of parchment paper in the pie pan and fill halfway with pie weights or dry beans. Bake the pie crust for 12 minutes or until golden brown. Cool completely. 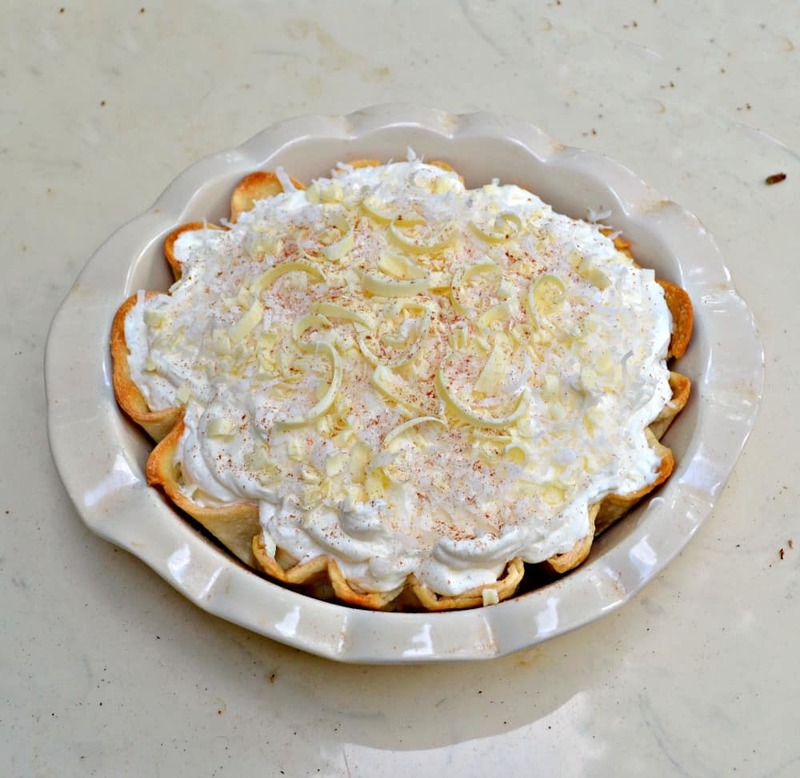 To make the pastry cream combine the milk, coconut milk, and coconut flakes in a medium saucepan over medium heat. Cut the vanilla bean in half and add to the pan. Heat the milk, stirring occasionally, until it begins steaming (do not boil!) Remove from heat. In a small bowl combine the eggs, ½ cup sugar, and flour. Whisk until combined. Add ⅓ cup of the warm milk mixture to the egg mixture, whisking constantly, to temper the eggs. Remove vanilla bean. Slowly pour the egg mixture into the milk mixture, whisking constantly. Return the mixture to medium high heat and cook for 5 minutes, whisking constantly, until the mixture gets thick enough to coat the back of a spoon. (Do not let the mixture boil). Remove from heat and quickly whisk in the butter. Pour into a container and refrigerate for at least 4 hours. When you are ready to put together the pie pour the heavy cream, sugar, and vanilla in a large bowl. Beat on medium speed with a hand mixer until stiff peaks form. Set aside. Pour the pastry cream into the cooled pie crust and smooth our the top. Carefully pour the whipped cream on top of the pastry cream. I like to use a spoon and make swirls in the top of the whipped cream. Sprinkle the top with the shredded coconut.. Using a pairing knife make white chocolate curls to put on the top of the pie. Sprinkle with cinnamon and serve. My husband wouldn’t eat this, either. But I certainly would—especially with those gorgeous white chocolate curls!! My brother in law LOVES coconut cream pie. It looks delicious. About your difficulties, I wonder if maybe the eggs got too hot and cooked. When that happens, the thickening properties are lost. No matter though, I would love a piece of your pie. Any left? It definitely could have been the eggs. I usually do not have a problem with pastry cream so I was a little disappointed when it wasn’t thick but the touch of gelatin made it perfect. 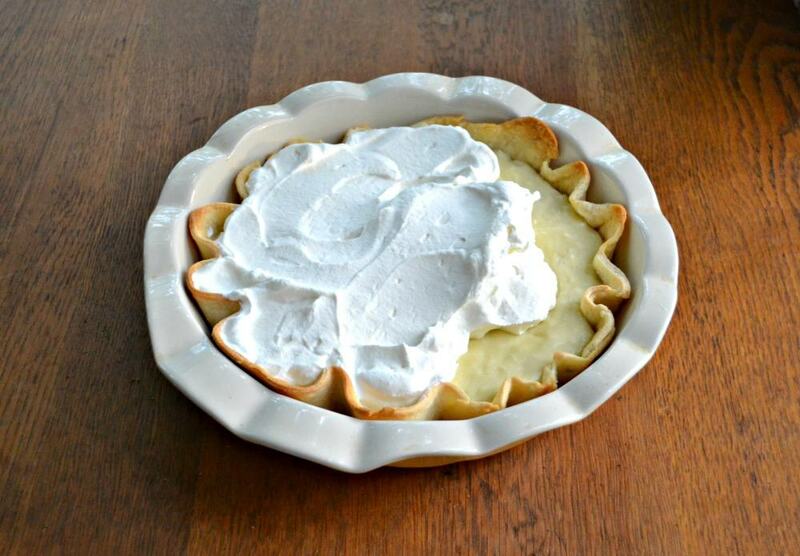 We LOVE Coconut Cream Pie and your recipe looks fabulous! So good! Perfect for today’s celebration! If you love it you have to give this one a try! One of my coworkers and I have been talking about coconut cream pie all week. Now I have a serious craving for it. My dad and husband both love coconut too, so maybe I should make one for father’s day! You should! This one turned out really well and I’m still hearing how much people loved it! I love coconut pie and fortunatley so does my family. Yours looks delicious, and I like the addition of white chocolate with the coconut on top! 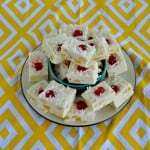 My Grandmother made CCP and it was amazing – my all time favorite. 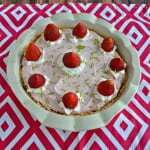 I had the recipe but it disappeared long ago and that is so sad. I’ve never been able to replicate it but yours looks and sounds so much like hers. I must try this. Thanks for sharing. I hope it tastes close to your grandmother’s recipe!